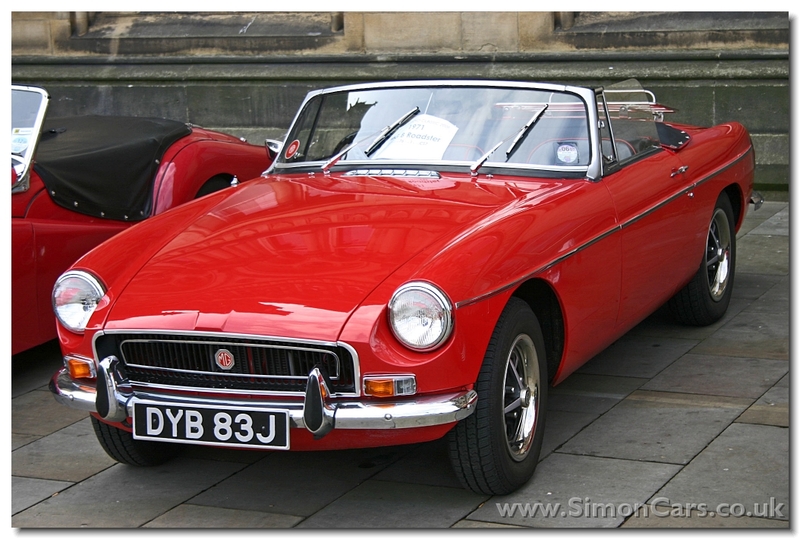 In 1962 the MGA replacement arrived, the MGB. The new car used monocoque construction and was styled by Don Hayter, but with advice from Pininfarina, note particularly the grille area and headlamps and see Ferrari 275 GTS. 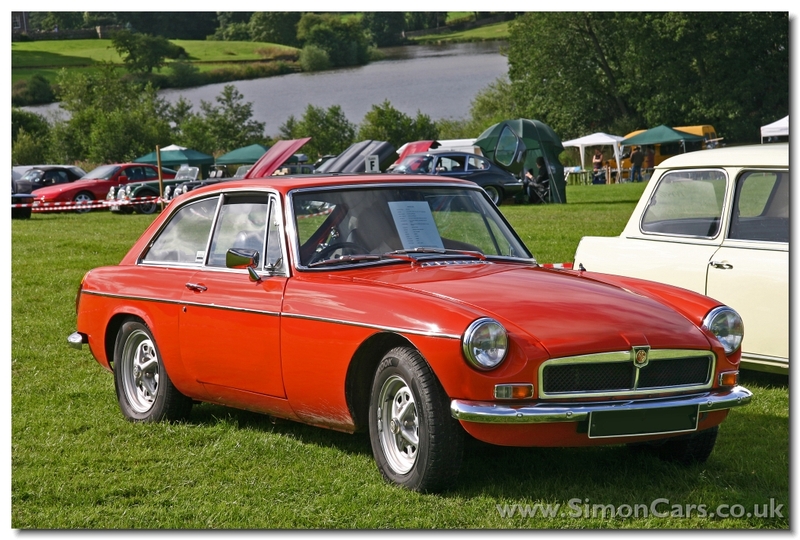 The MGB GT made its debut in 1965, Don Hayter's original design further assisted by Pininfarina . This hatchback coupe made a practical family sportscar. 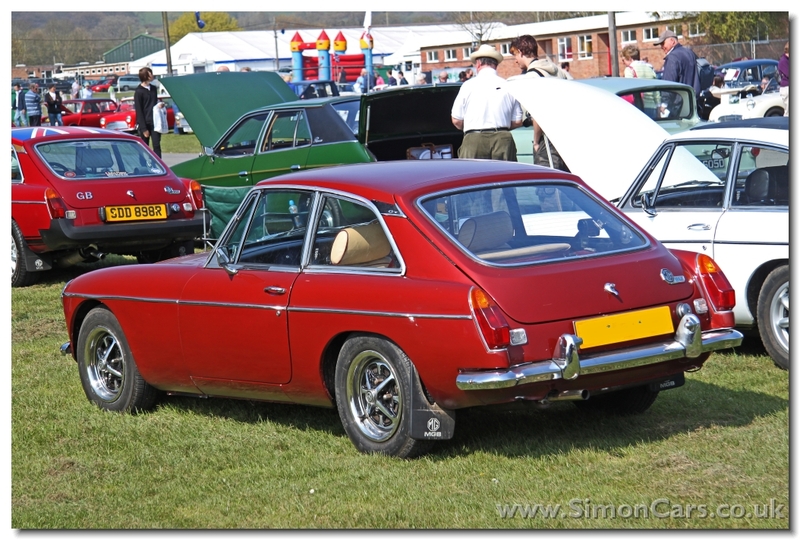 The MkII MGB was introduced in 1967 with a new gearbox, and a 6-cylinder 'MGC' was also announced. 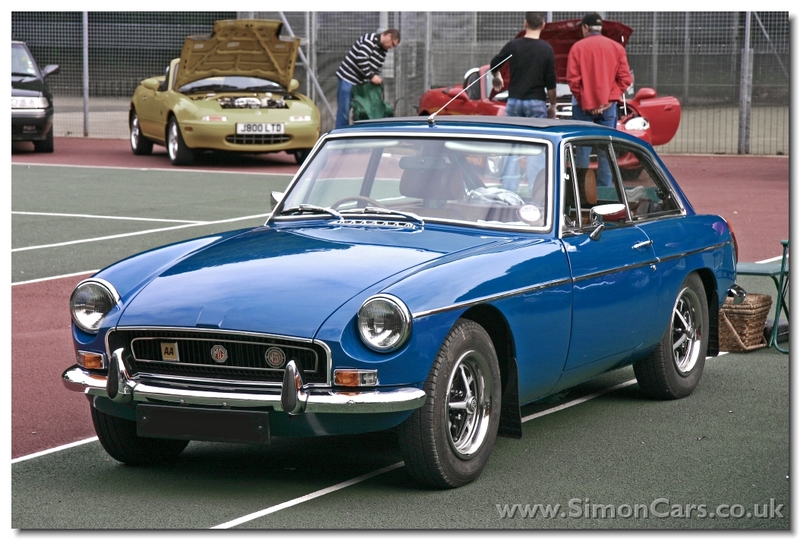 In 1971 the recessed grille was given to the MGB, and in 1972 a honeycomb grille with chrome surround was given. The Black bumper model came out in 1974. 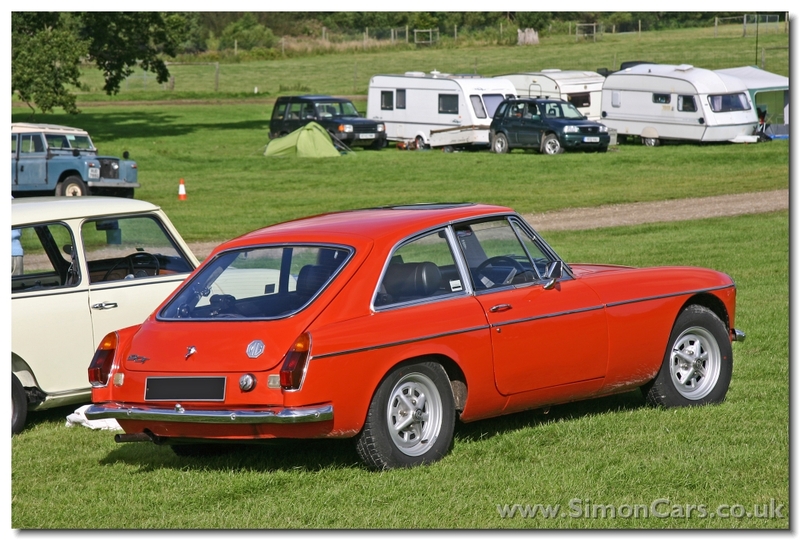 British Leyland responded to the specialists who were putting Rover V8 engines into the MGB and announced its own MG MGB GT V8 in 1973, but this was shortlived. 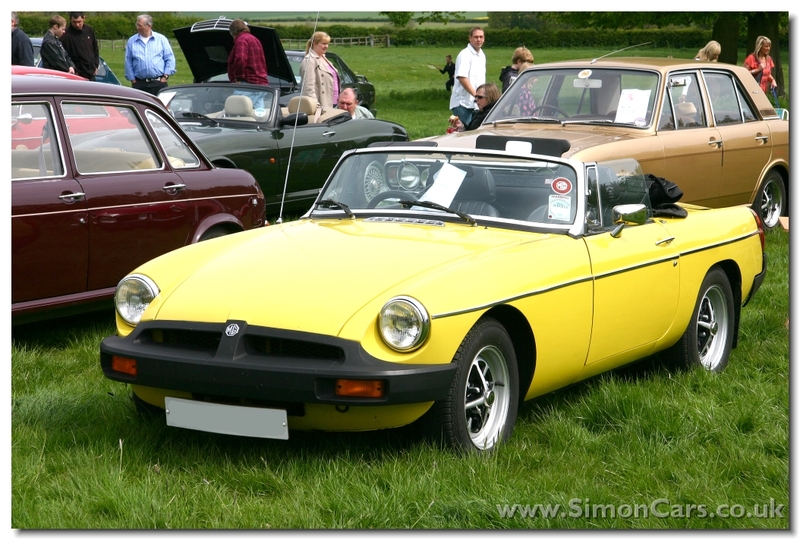 MGB production ended in 1980, but the car was revived as the MG RV8 from 1992 to 1995 with most cars going to Japan. 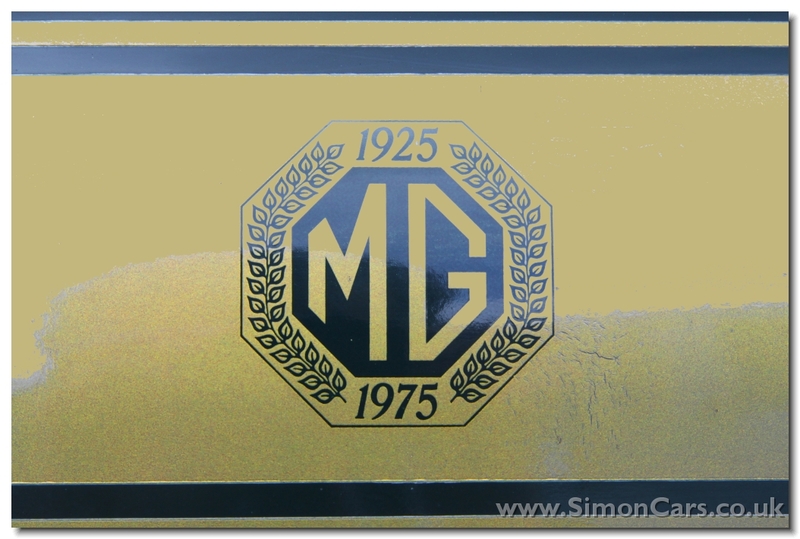 MG MGB GT MkIII 1971 - the recessed grille was given to the MGB in 1971. 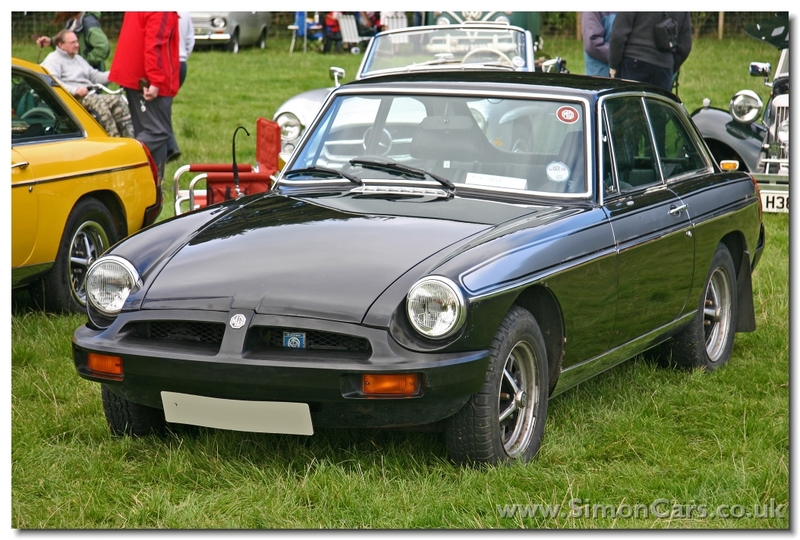 MG MGB MkIII. 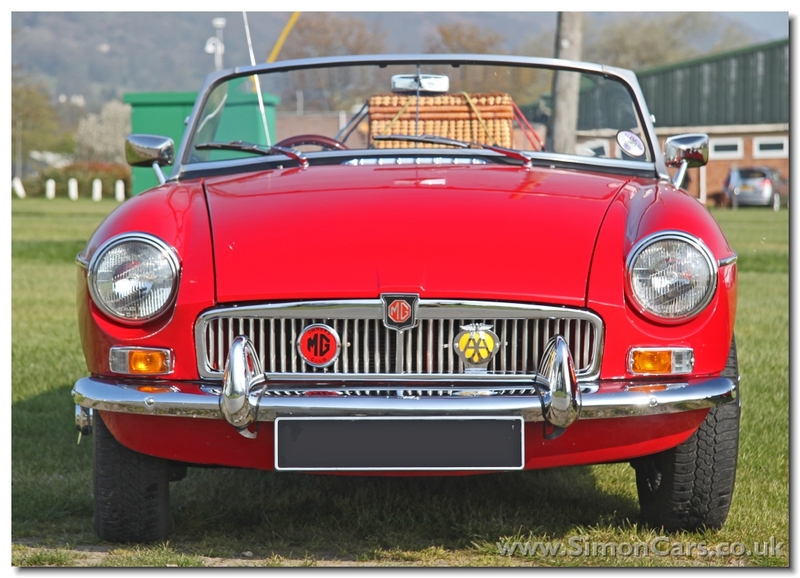 In 1971 a recessed grille was given to the revised 'MkIII' MGB, but the traditional grille returned after a year with honeycomb mesh. 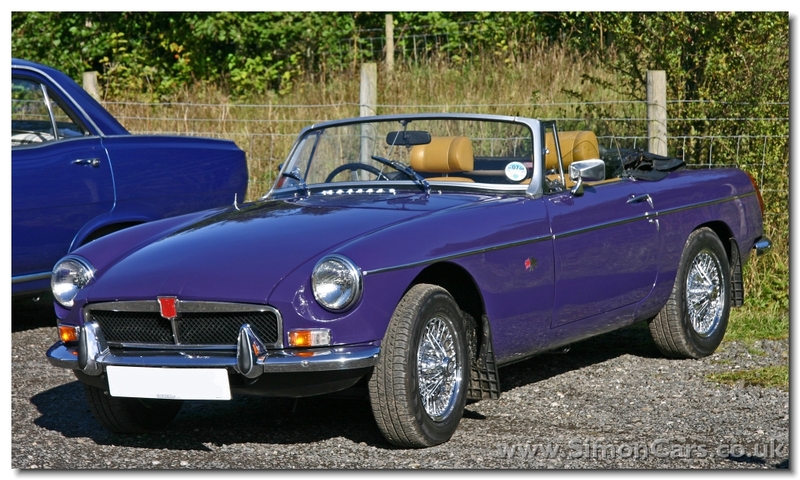 MG MGB Roadster. Designed with advice from Pininfarina, note particularly the grille area and headlamps and see Ferrari 275 GTS. 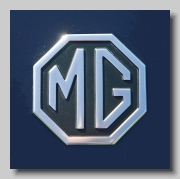 MG MGB. 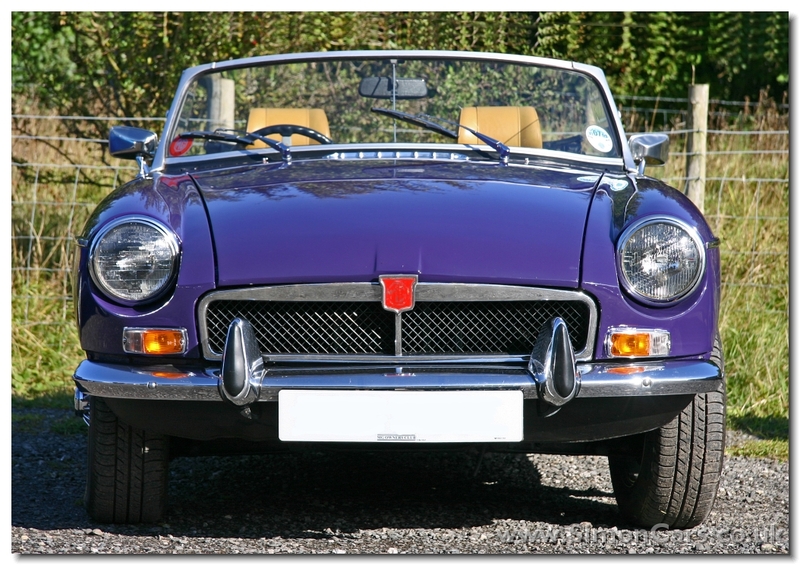 In 1962 the MGA replacement arrived, the MGB. The new car used monocoque construction and was styled by Don Hayter. 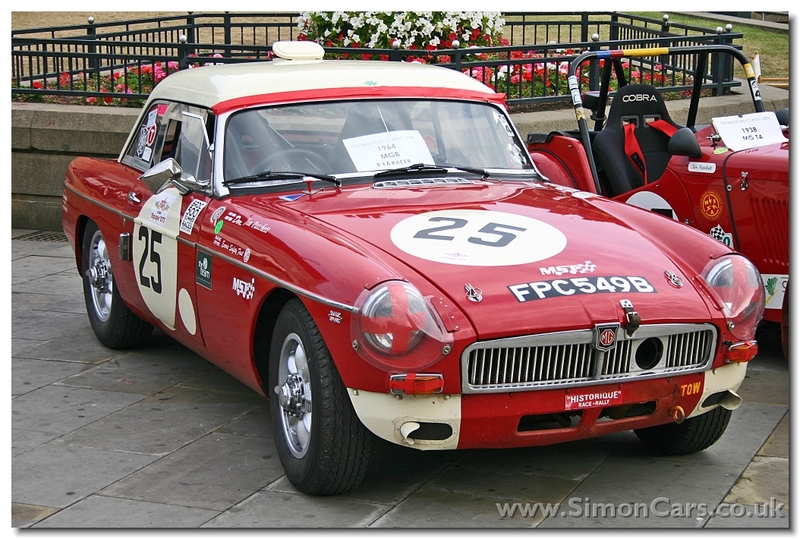 MG MGB FIA Racer. Succesful in competition events such as the Monte Carlo Rally when in 1964 it won the GT category, Sebring, the Spa 1000 kilometre and the 1963, 1964 and 1965 Le Mans 24 hour. 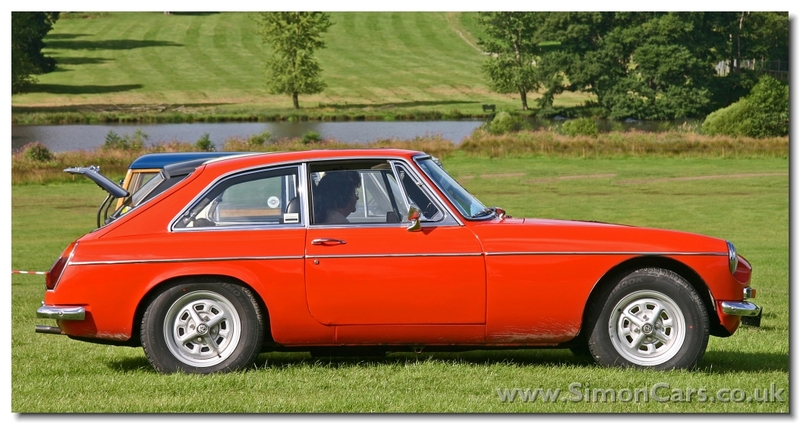 MG MGB GT. 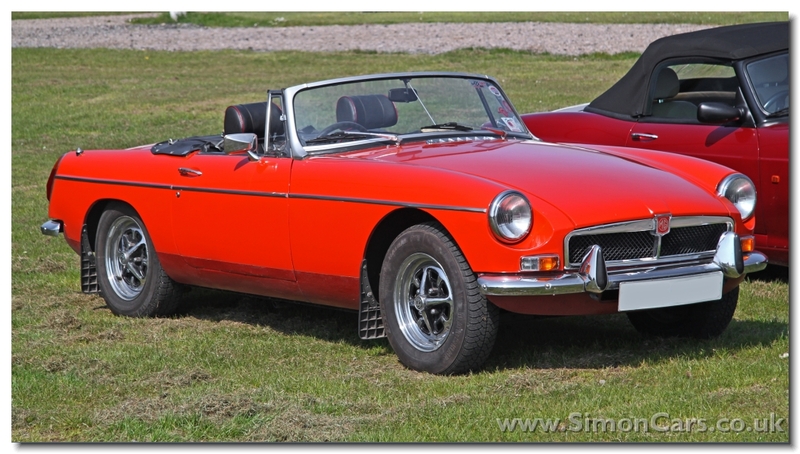 Introduced in 1965 the GT version of the MGB shared the same mechanics as the Roadster. 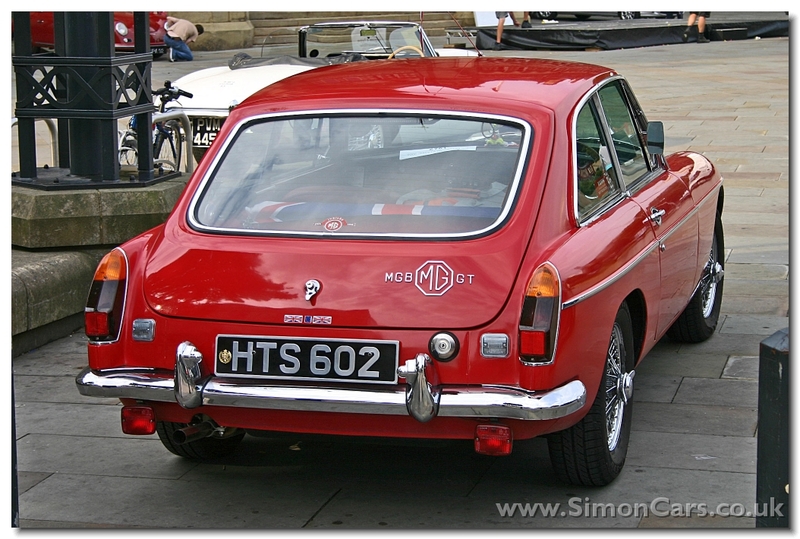 MG MGB GT MkIII 1971. 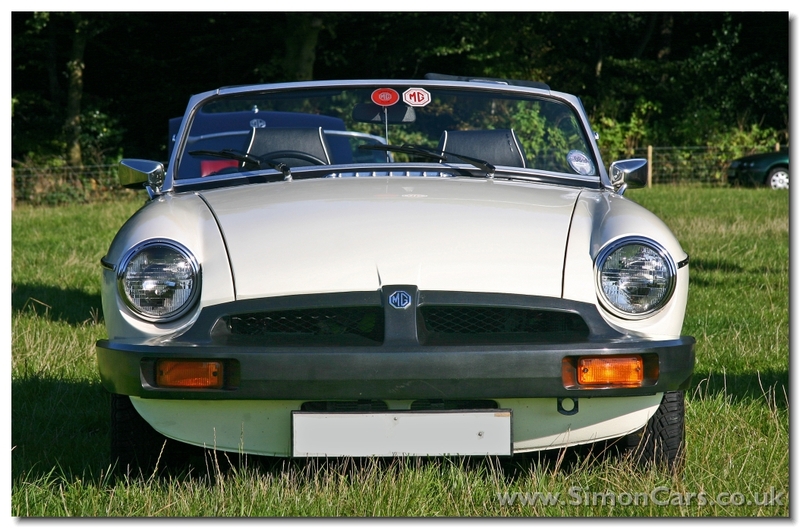 In 1971 the recessed grille was given to the MGB. This model is sometimes called the 'MkIII'. 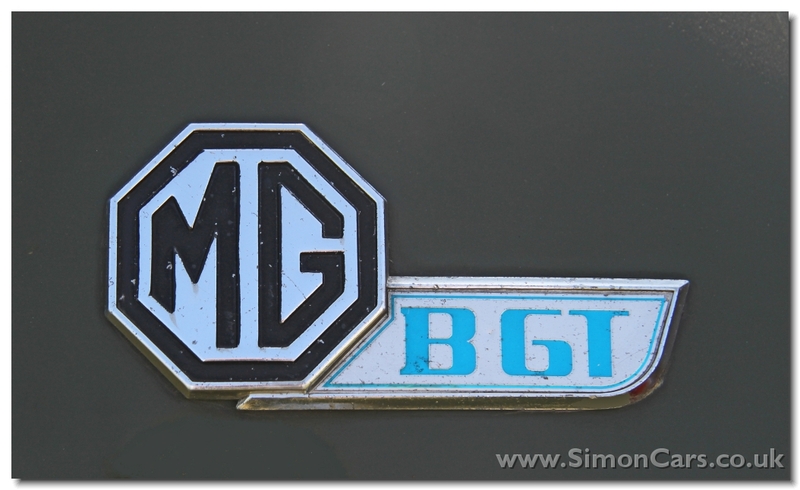 MG MGB GT MkIII 1972. 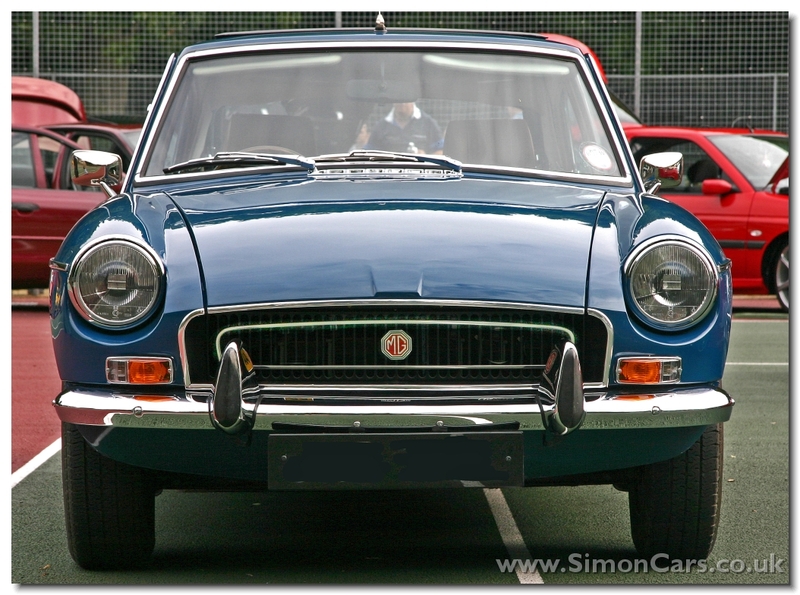 For 1972 the recessed front grille was replaced by a return to the MG grille, now with a honeycomb mesh. Two years later the grille went altogether, replace by rubber bumpers. 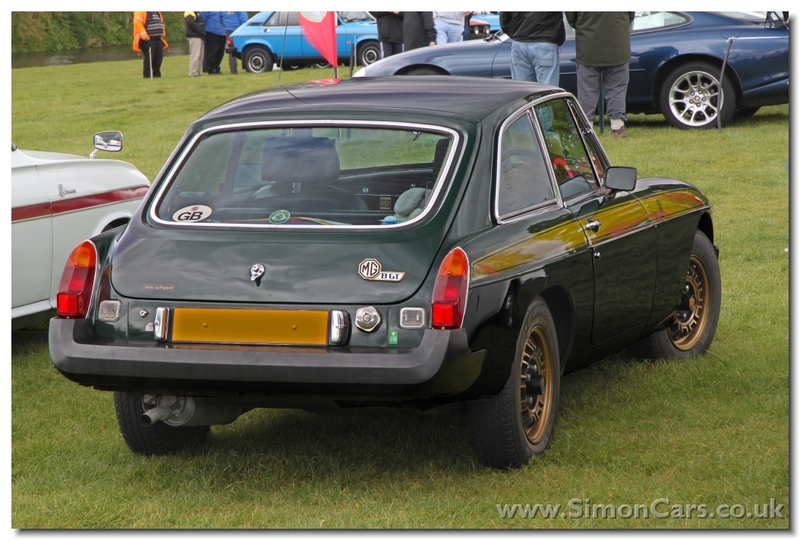 MG MGB GT MkIII. 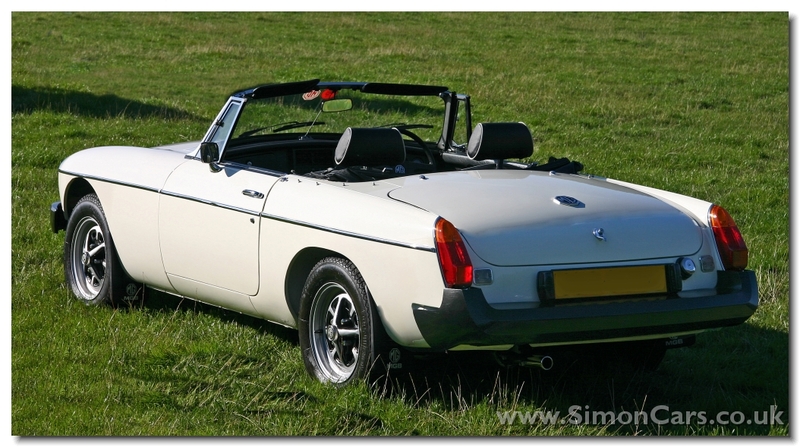 From 1971 the MGB GT model shared the rostyle wheels and new tail lights given to the 'MkIII' roadsters. 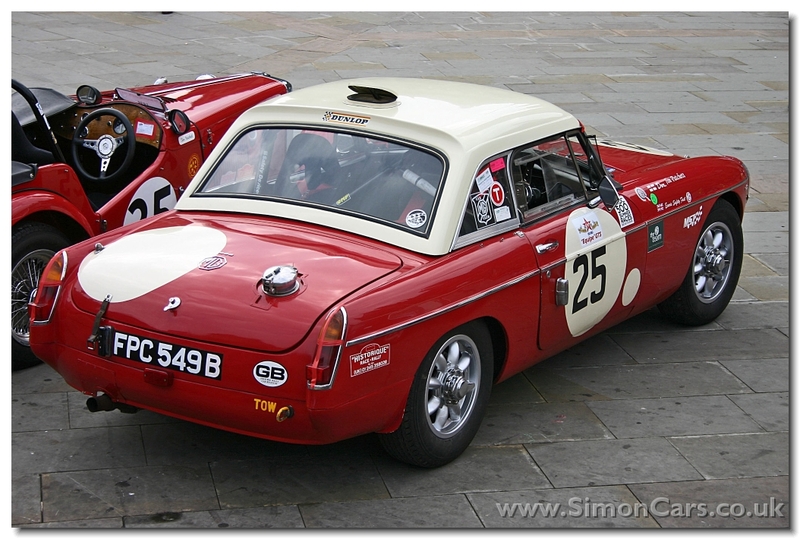 MG MGB GT Jubilee. 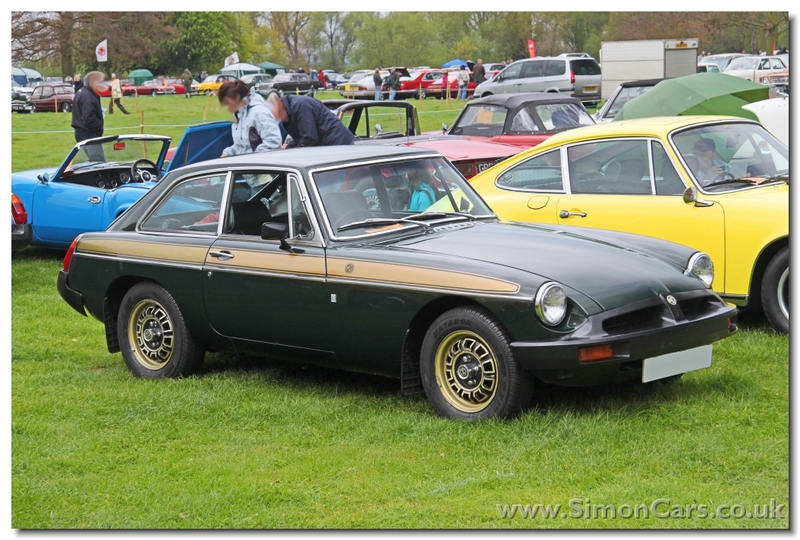 750 MGB GT cars were sprayed in dark British Racing Green, given gold-finished alloy wheels and badges, and gold stripes stuck on to mark 50 years of MG cars. 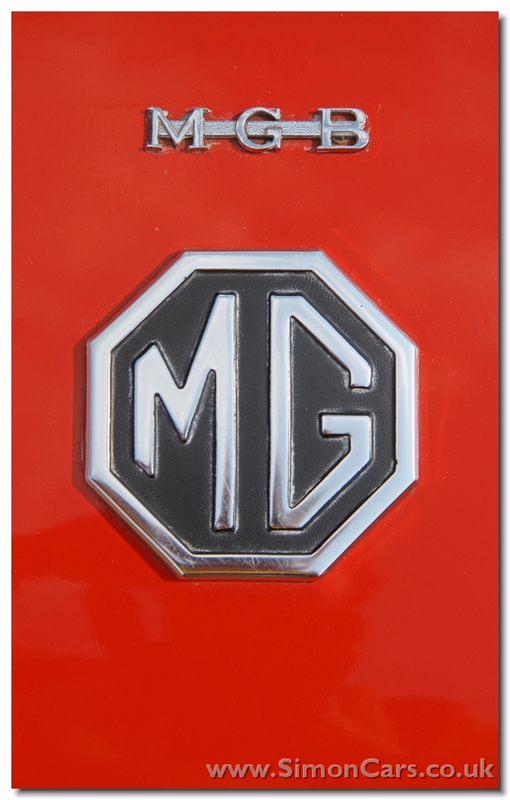 MG MGB MkIII. 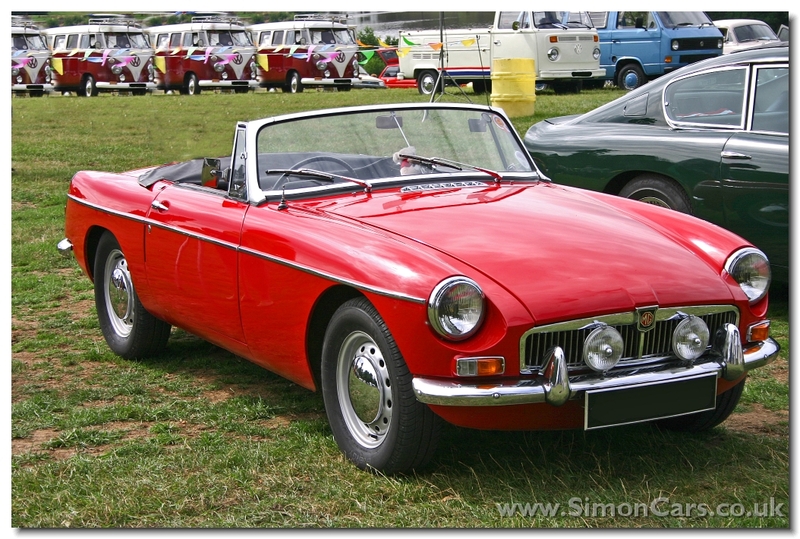 Almost a 'MkIII', in 1970 the MGB was revised to include large rear lamps and this recessed grille. 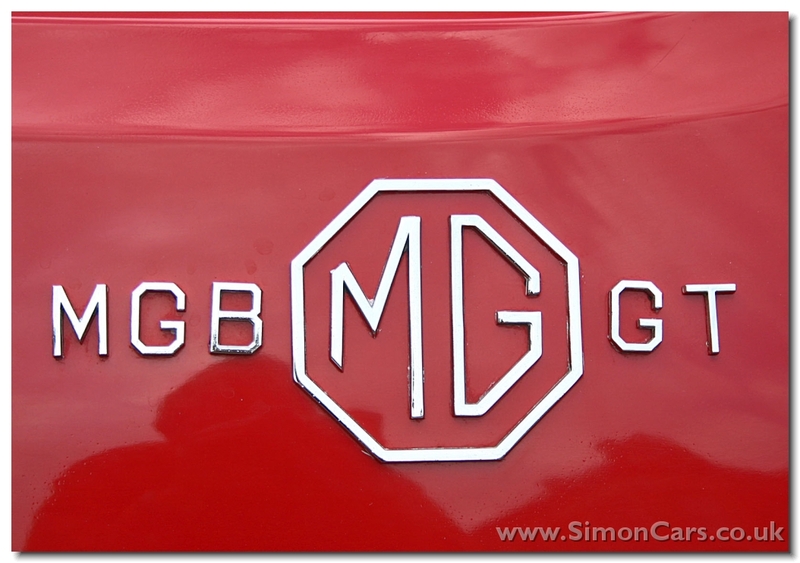 MG MGB MkIII. 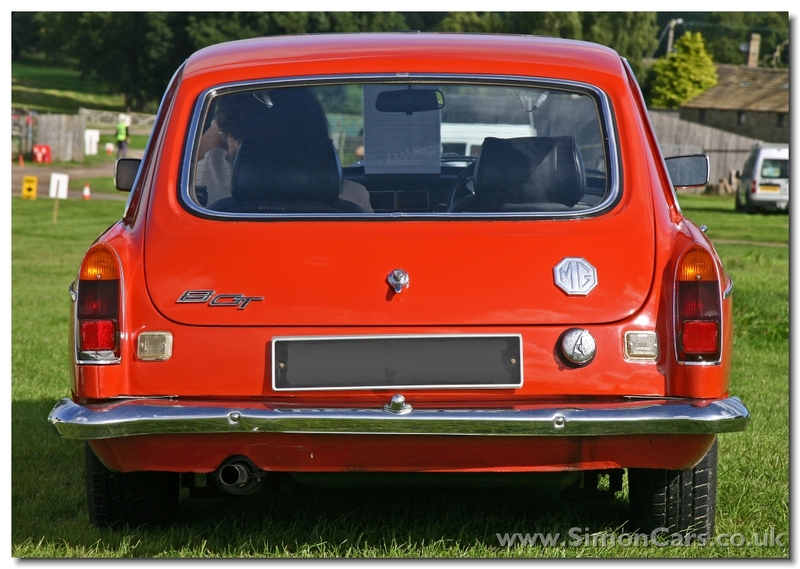 Modifications for 1970 (never called a 'MkIII') included larger rear lights and rostyle steel wheels. 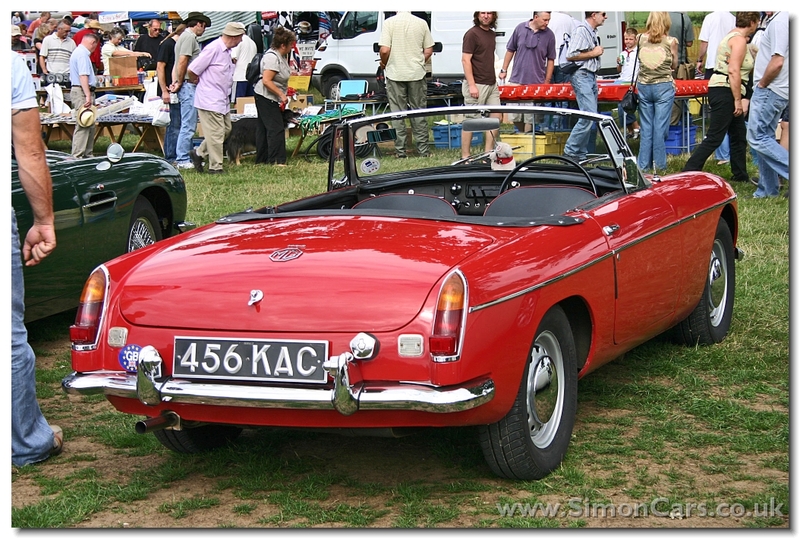 MG MGB MkIII Roadster. 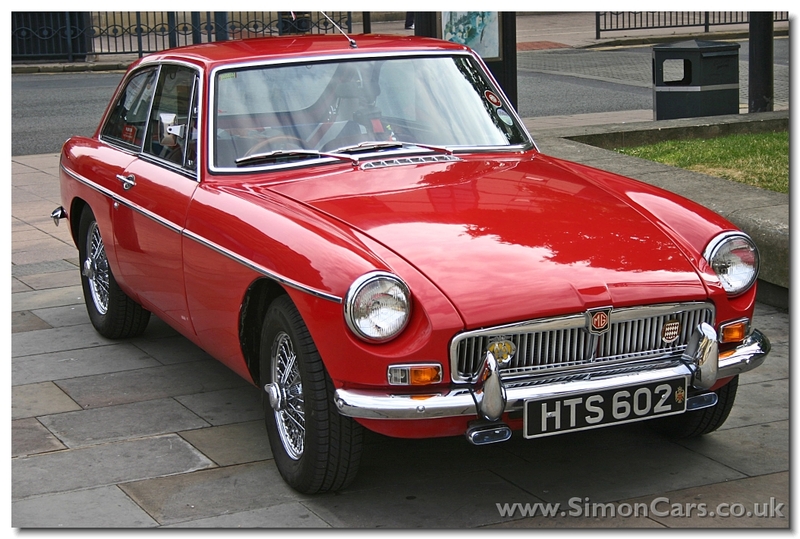 The late MkII MGB with the recessed grille evolved into the MkIII with a honeycomb grille. Rostyle wheels were still normal wear, but wires were optional. 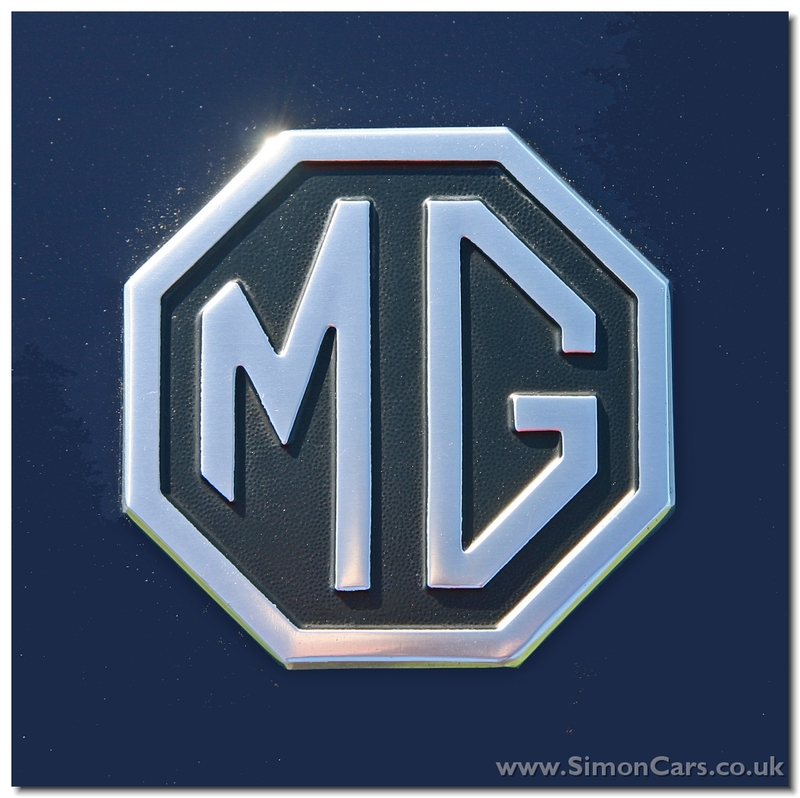 MG MGB MkIIII. 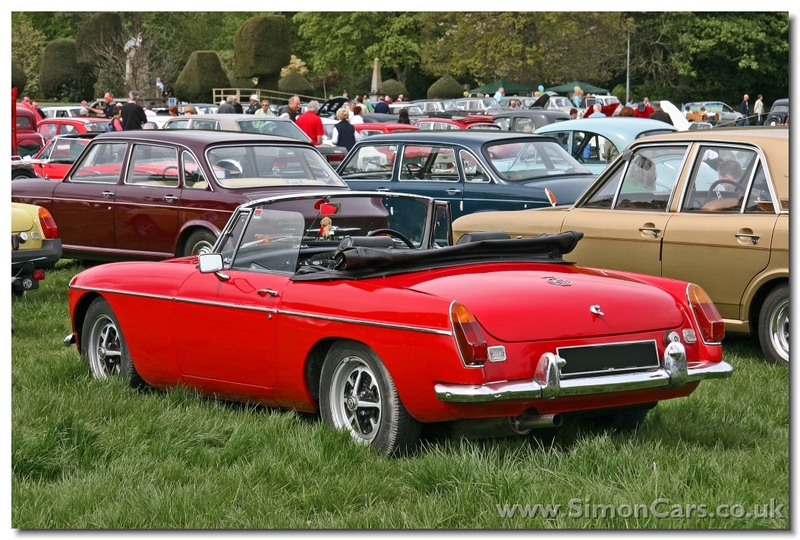 Still officially a 'MkII', the 4th iteration of the MGB was introduced in 1975 as the federalised rubber bumper car. 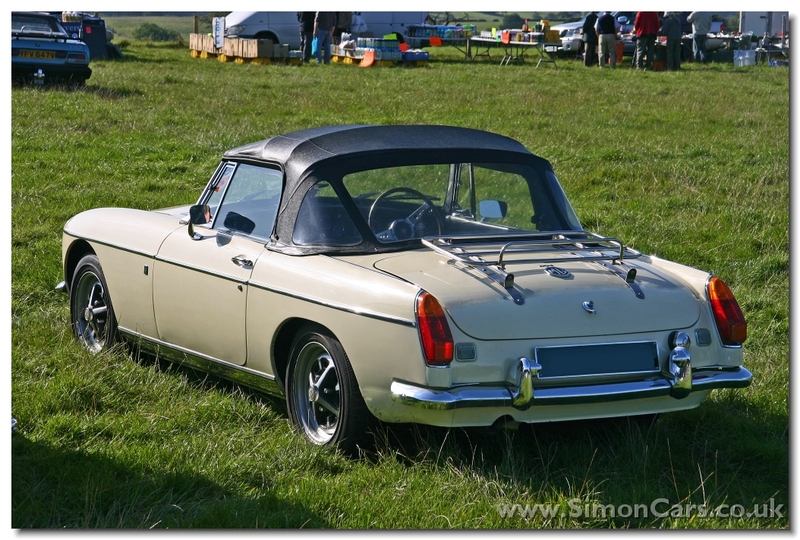 Raised ride height and 5mph bumpers ruibed the MGB for the sake of American sales. 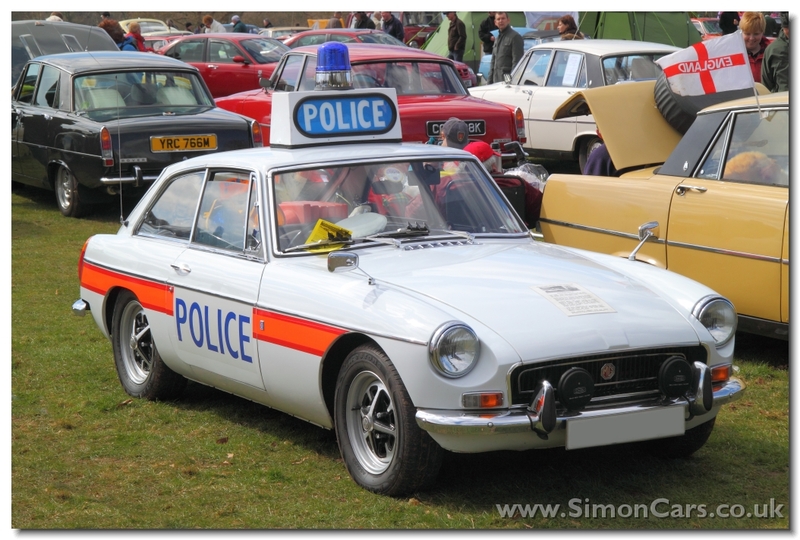 MG MGB GT. 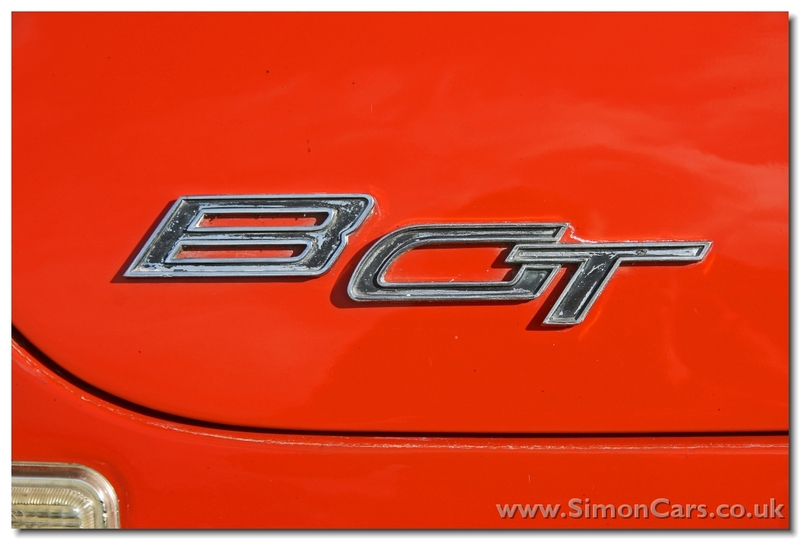 A taller windscreen to give greater headroom was a Pininfarina solution to this GT Coupe. 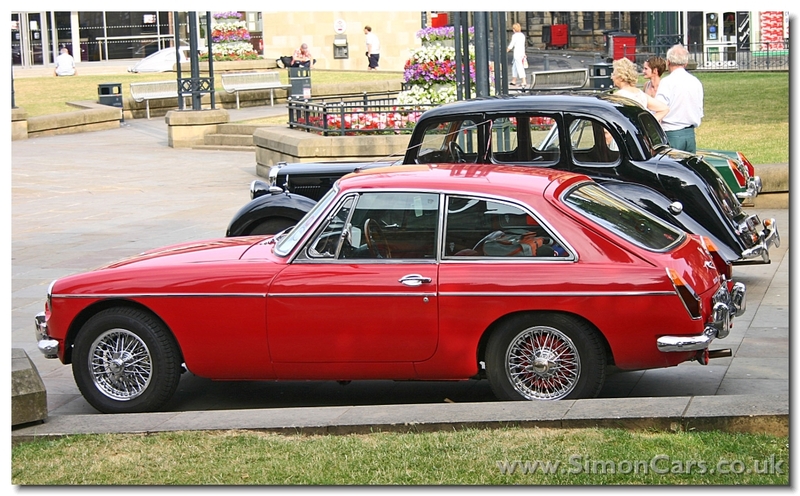 MG MGB GT MkIIII. 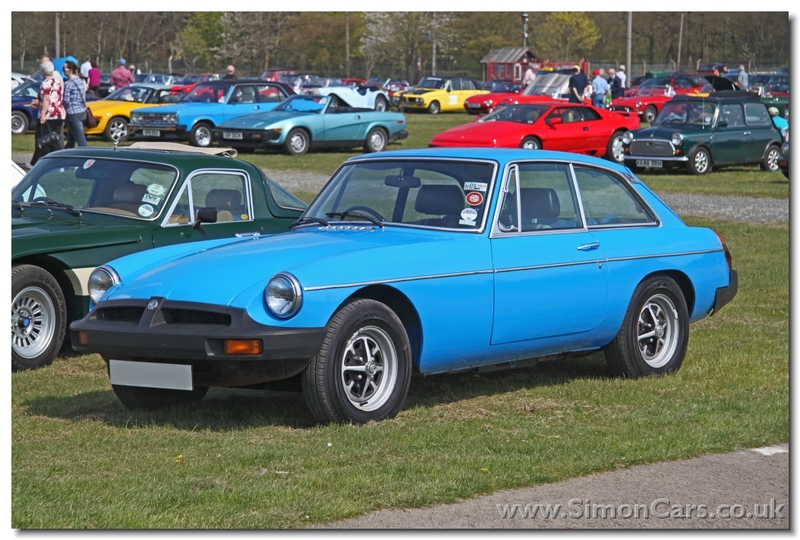 This silver-striped black MGB GT from 1978, is too late to be the 1975 Jubilee Edition in BRG from 1975, and too early to be the 1980 Limited Edition.